These days, even the most basic of tents can incorporate the benefits of electric hookup, when on site, and it’s easy to become overly reliant on them to enhance our routine camping experience. Many of the most picturesque sites, however, don’t have an electric hookup, or they are very limited and always pre booked. So. Does that mean we should avoid them, or does it have to mean that we can’t get the full benefit from those sites as we will have to leave most of our electric appliances at home? The simple answer is; No, we don’t. There are many alternatives to 240v appliances, and we will be looking at a few of them here. 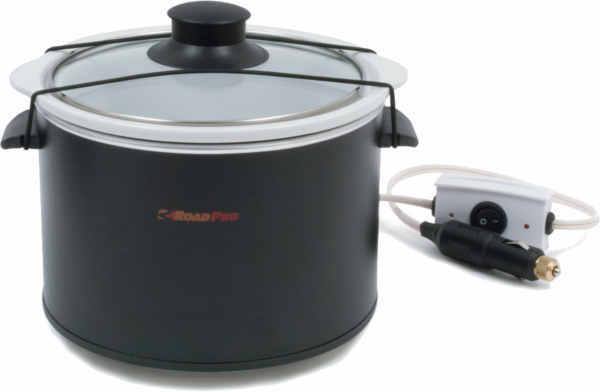 To be fair, for many, 240v electricity wont play a huge part in our catering, unless we have an electric mini oven or microwave, although, for many others, the camper will be heaving with slow cookers, toasters, electric kettles, grills, etc. 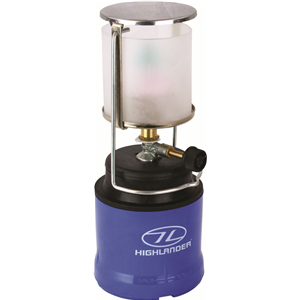 Most of us will have, at least, a one or two burner hob and grill, but, if not, there are plenty of portable models out there, with, or without grill, powered by a small lpg cylinder, and most of us are familiar with those, as well as the traditional camping staple; the barbeque. There are, however, a couple of cooking alternatives that many people are not aware of, that offer a little extra luxury, and, even, a bit more fun to campsite catering. The first of these is the 12V microwave, the most popular of which is the Wave Box, a tri powered microwave, which can be run from a 240v power supply, a cigarette lighter socket, or, via a set of crocodile clips, directly on to the battery terminals. 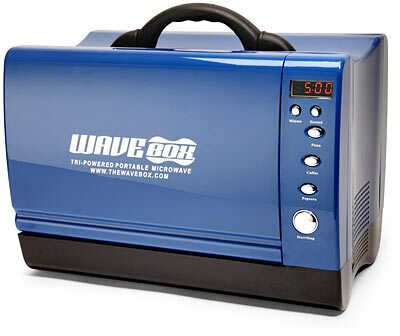 The Wave Box was originally designed for truckers to use when sleeping in their cabs, but is ideally suited to the camping environment, as it is compact and robust, and its benefits are not just confined to ‘off grid’ camping. The second, and much more fun, means of cooking is on a rocket stove, such as the DK Rocket Stove. I have one of these, and they’re a great way to cook, with no electricity, and without wasting any of your own lpg. Just a few twigs and you’re cooking on gas (so to speak). More fun that traditional burners, not as messy or slow to heat up as a bbq and really easy to use. Just makes a bit of a change. In addition to these, there is a huge array of ancillary products hitting the market place at the moment, particularly from the USA, most of which, like the Wave Box above, were originally designed to cater for the trucker market. 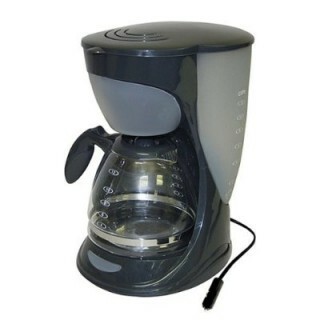 These include such items as kettles, filter coffee machines, sandwich toasters and slow cookers, to name but a few. The only thing to be aware of is that, because many of these were originally designed to be used in truck cabs, with their dual battery systems, some will only run on 24v, as opposed to 12v, but there is still a wealth of options out there. We always carry a 12v filter coffee machine and a 12v kettle, just in case of issues with the gas supply. On the general topic of cooking, we need somewhere to store our food, prior to use. Whilst many campers will be fitted with a three way fridge, many will not. One option is the 12V cool box. These will draw around 45 – 50w, on average, and, so, would fully drain a leisure battery, on their own, in around 8-10 days, if not recharged. They do, however, represent a great way to keep food cool for long periods, as long as the weather is not too extreme. An alternative to the cool box is a portable, gas powered fridge. On the plus side, these are every bit as good as the three way fridges installed in many campers, and some will even have a small freezer compartment. However, on the down side, they are bulky and heavy to transport, require a gas supply to work (not too much of a problem if you have an external BBQ point) and they cannot be used in the main camper area, due to the risk of potentially harmful fumes. A lot of campers, these days, will have a 12v lighting system, even if, like the Fiestas, Sterlings and early Pullmans etc, it was just a single light (usually on the wardrobe, where fitted). Even if you do, it is likely you will want to supplement that with additional lighting, especially if you are doing something close up, like reading. There are a number of alternatives here, the main ones being gas lamps and high power 12v LED lighting. Gas lamps are a little retro these days, but still throw out a lot of light, and a surprising amount of warmth, as well, on slightly cooler nights. For some, the potential fire issues of gas lamps rule them out, but, now, you can get hold of some pretty powerful 12V LED lamps, many of which are fully rechargeable, and most are bright enough for reading etc. 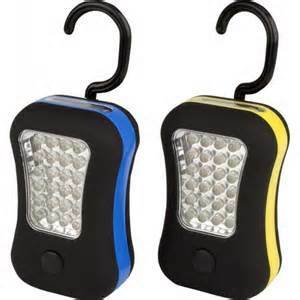 These LED Lamps Are Bright Enough For Reading, And Can Be Used Anywhere In The Camper. They Can Even Be Used As A Torch. In addition to the free standing lamps, many are now opting for 12v LED lights to provide the ambient lighting in the camper. These are inexpensive, relatively easy to fit, and can be mounted pretty much anywhere there is a flat surface. They also look pretty cool as well. Another popular addition to the modern camping arsenal is solar lighting, whether is is solar lanterns for the awning, or the ever increasing numbers of solar powered fairy lights we are seeing dotted around most camp sites in the UK. Heating options are far more limited, due to the issue of potentially dangerous fumes, and much has been made, recently, of the dangers of carbon monoxide poisoning from the use of BBQs to heat a tent or awning. Again, the more fortunate of us may have a gas powered heating system built in to the unit, but, if not, we will need to consider our options carefully. If we don’t have a built in heater, there are two main alternatives to heating a camper without 240v power. The first, and most popular is by the use of a portable gas fire. 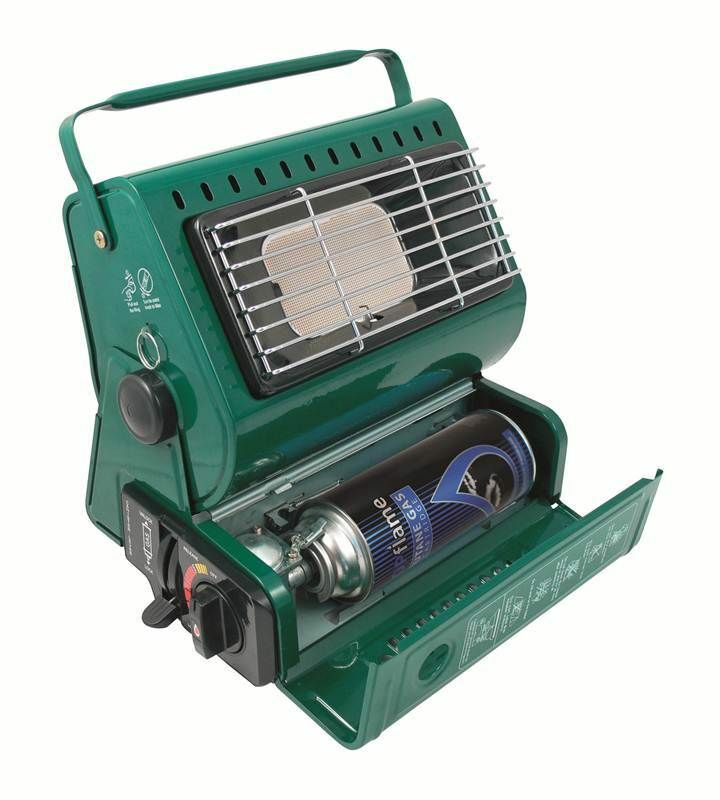 These come in various guises, but, within reason, the smaller the better, as any heater used has to be transported to the site, and then used in the camper without causing an obstruction. The most common type uses a small individual gas cylinder, which, although very cheap to buy (at around £1 each) will usually last just a couple of hours on full heat, so make sure you take plenty with you. The other thing to be aware of with these small gas heaters is that they are not designed for use indoors. Indeed, many manufacturers actively advise against it. We have used these, without incident, in tents and campers, for many years, but it would be irresponsible to include them without mentioning the potential risks. If you do chose to use these heaters in your folding camper (as we do) then make sure the space is well ventilated, and a carbon monoxide detector is never a bad idea, in any situation. The second, and far less common, option is that of the 12v heater. These are useful for taking the chill off a space, but can’t come anywhere near the performance of alternative heaters. The average power output of a 12v fan heater is around 150w, whereas the average power output of a small gas fire, as described above is is more in the region of 1,300w. In the marketplace, today, there is an increasing array of equipment available to operate on a 12v system. 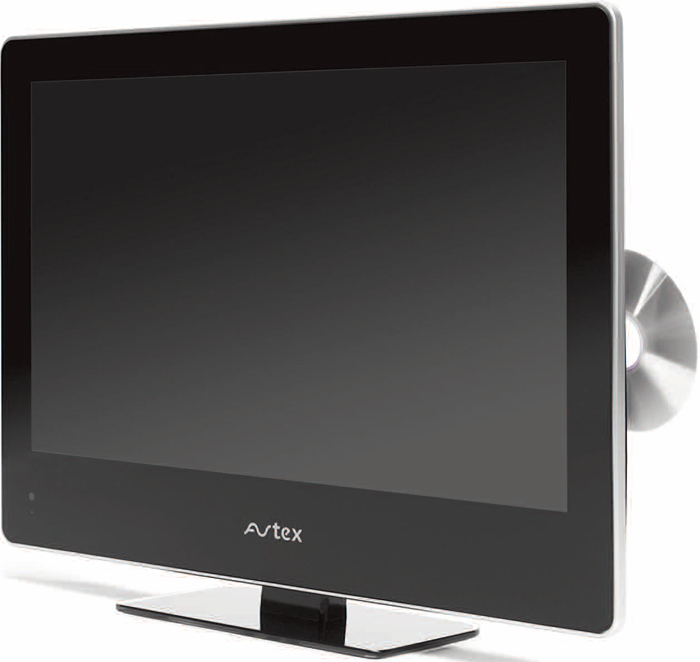 The main one is the 12v television, many of which seem to come with built in DVD, which is fortunate, as you can’t always guarantee a strong signal when moving from site to site. To go with the 12v TV, you can, also, buy a 12v signal booster to enhance the performance of the aerial, and, even, 12v satellite TV / Freeview systems. There are numerous options on the audio front, including radios, CD players and ipods / MP3s. Radios can be battery powered (chargeable or standard) solar powered or wind up. Although most docking stations are currently 240v, there are a large number of surprisingly powerful little speakers that will run directly from your device. Many people, myself included, may also have a car stereo fitted in the unit, for added convenience. These days, there are plenty of things we can take with us to keep ourselves entertained, without a mains supply, including Kindles, laptops & tablets, smart phones and hand held games consoles. Of course, we don’t go camping to sit indoors all day, but, sometimes, the British weather doesn’t give us a huge amount of choice. Always remember that many devices will require regular recharging, so make sure you have an appropriate charger with you. 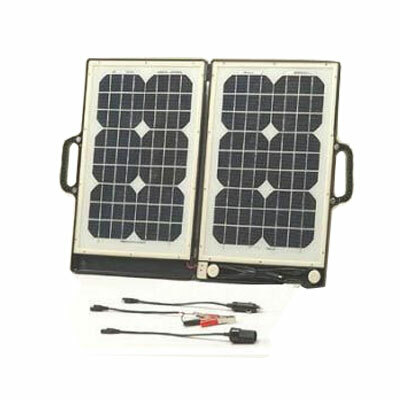 A 12v system can be anything from a couple of lamps to a full blown electrical system, powering water pumps, a TV, microwave, computers etc. You wont achieve the latter using a standard leisure battery, with no charging facility, as it will be dead in a matter of hours, so you need to consider your usage requirements carefully, before making any purchases. The single most important thing to consider, if making the most of your 12v supply, is a means of recharging the leisure battery. By far the most common method is the solar panel, which are an increasingly common site at the moment. Whilst smaller panels are good for trickle charging the leisure battery, if you are planning on giving it any serious usage, you should be looking at an absolute minimum of 50w, but, ideally, at least 80w. Obviously, the higher the wattage, the more appliances you can run, and for longer, so it’s always best to try and buy the highest specification unit you can. The most convenient type of charger for those of us on the move is the briefcase style, which is more compact, when folded, and more robust, as it is designed to be moved around. Something that is less common, but worthy of, at least, some consideration, is the wind turbine. These now come in a very compact format, are easy to set up, and, pound for pound, give approximately three times the power output of a similarly priced solar panel. Of course, they require a decent wind to power them, but in the UK, that is often in greater supply than copious amounts of sunshine. Finally, the method with, by far, the highest power output is the petrol generator. 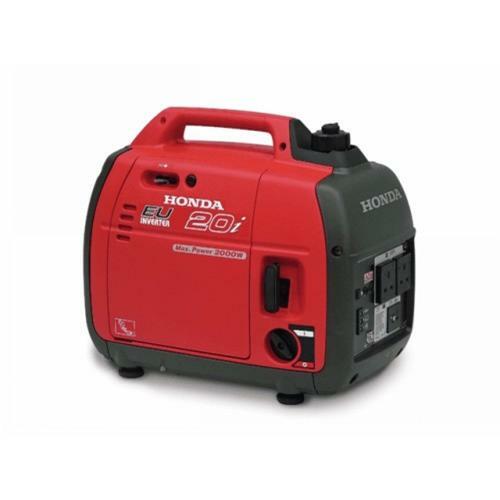 These have a much more usable output, with most small, portable, generators producing between 1,000w and 4,000w of power. On the downside, they are not a renewable resource, like the other two, have the cost and inconvenience of refuelling, and are not welcomed at many of the more tranquil and remote sites that don’t have EHU, largely due to the fact that even the ‘silent’ ones do produce a fair bit of noise, which can prove to be quite intrusive. Remember though, whatever method of charging you use, make sure you keep the battery charged at all times. Once a battery has been discharged by more than 50%, it is unlikely to ever achieve full charge again. 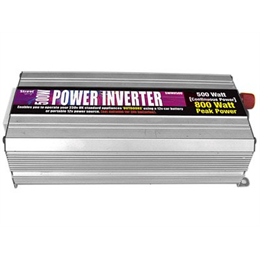 Inverters. As already mentioned, above, these can be used to convert a 12v power source into a 240v one. This is particularly useful for appliances that aren’t available in 12v format, or where, perhaps, the 12v equivalent isn’t quite up to the mark. 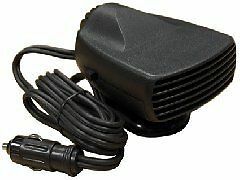 a classic example of this is that of the domestic hair dryer. There is a significant difference in performance between as standard 12v model, with some 150w – 200w of power, as opposed to a professional quality model, running in excess of 2,000w. Of course, therein lies the classic dilemma; if something needs that much power, then what kind of inverter will you need, and will a standard leisure battery cope? More on that later. Most campers with a 12v system will have a number of ‘standard’ 12v sockets dotted around. 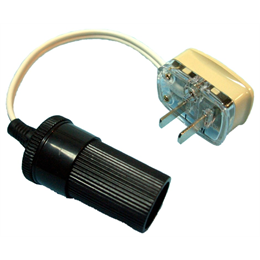 Unfortunately, many of the 12v appliances on the market come with a cigarette lighter socket plug on the end, for use in cars, trucks, etc. It’s well worthwhile, therefore, obtaining at least one adaptor to convert a caravan style socket into a cigarette lighter socket. Once you have one of these, there’s nothing to stop you buying a multiple cigarette lighter socket, and charging as many devices as you want. As a backup to the main leisure battery (or, even, in some cases, as an alternative to it) you can also take a portable power pack with you. These are great for a bit of extra power, and can be charged by a 240v supply, a car cigarette lighter, or, even, a solar panel. 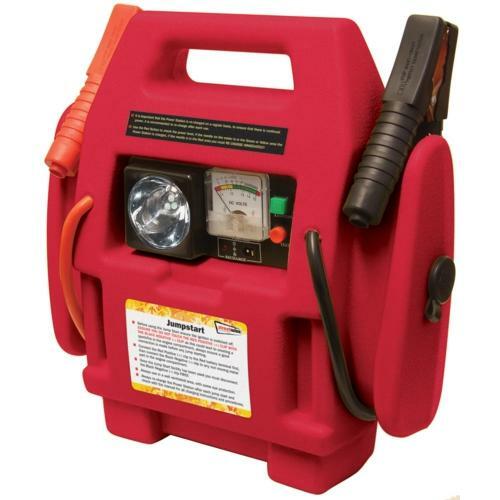 The one I use (pictured) has a built in light, cigarette lighter socket to power devices, and can even be used to jump start a car, should the need arise (hence it is a permanent fixture in my boot, even when not camping). 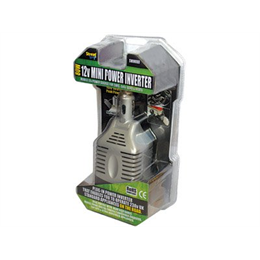 As with the cooking side of things, there are plenty of accessories on the market, running on 12V power, including, amongst others, vacuum cleaners, hair dryers / hair straighteners and fans / heaters. If you bear in mind that most of these are running at about 10% of the power rating of their 240v cousins, though, there is bound to be an element of compromise, when it comes to performance. The amount of time a leisure battery will last before being recharged will depend on its Ah (Amp hours) rating, it’s voltage (12v, in most cases, obviously) and the power drawn (Wattage). To help us understand this there is an excellent article on the Camping and Caravanning Club site, entitled; A Guide To Leisure Batteries. Venturing away from sites with electric hookup does not have to mean ‘slumming it’ too much. There are a wealth of options out there to make our lives that little bit easier, without the permanent umbilical attachment of an EHU. The only thing we need to avoid is domestic 240v appliances with a heating element, such as heaters and hair dryers, unless we are happy to invest in a petrol generator, and don’t mind a little extra noise and inconvenience. Otherwise, we don’t have to miss out on those little luxuries, even in the remotest of places, although we may need reasonably deep pockets if we’re going to equip ourselves, fully, for the 12v lifestyle. This entry was posted in News And Information and tagged 12 Volt, Electric Hookup, Wild Camping. Bookmark the permalink. Cheers JD. Thanks for the feedback.